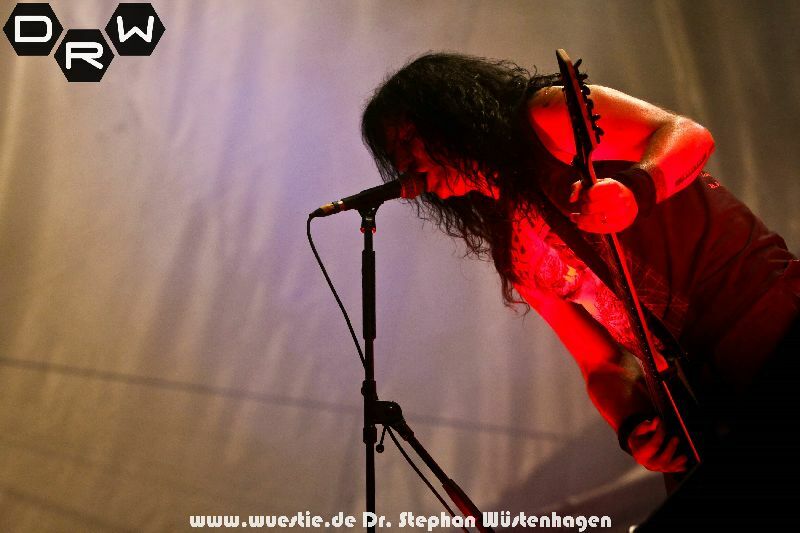 This year’s ROCKHARZ Open Air is taking place from July 3rd to July 6th, 2019, in 06493 Ballenstedt / Harz Mountains on the airport in Asmusstedt (www.flugplatz-ballenstedt.de). The area is located on the bottom of the Harz Mountains with a view on the famous Brocken and is big enough for a great party but also well-arranged enough for a cozy atmosphere. On arrival, please follow the signs for the airfield on site. You can park next to your tents! The final „Running Order“ will be available soon under „Running Order“ in the menu. You can arrive on Wednesday from 8 am; or alternatively even on Tuesday, from 2 pm. Please note: Arriving on Tuesday will be charged with an additional fee of 10, – Euro per person. On Tuesday, the beer garden opens for you at 6 pm. The campsite is located close to the actual festival area. You can enter the camp ground between 2 pm and 10 pm on Tuesday. Arriving on Tuesday will be charged with an additional fee of 10, – Euro per person. The camp ground will open on 8 am on Wednesday. The infield’s doors will be opened about 3:30 pm on Wednesday. On Sunday, the ground must be left at the latest at 1 pm. The airfield is well-signposted and you can find a description how to get there on our homepage. Parking next to your tent is allowed as long as the weather is good; otherwise we got designated parking lots. Please proceed according to the directions of our personal. Larger bags and larger backpacks with multiple pockets aren’t allowed on the infield. However, you can bring the following: belly bags, belt bags, ladies‘ handbags, camera bags of accredited photographers and single-walled or thin shopping bags such as jute bags and gym bags, that means those that are easy to check. Traditional backpacks, laptop bags, padded shoulder bags with multiple pockets and sports bags are definitely forbidden. Same goes, of course, for suitcases, trunks, overseas containers, moving boxes, in-pocket cargo planes, container ships and trains. Again this year, the largest beer garden in Saxony-Anhalt welcomes you with over 1,000 seats and the lovely Mutantenstadl on our ROCKHARZ-Alm. Photo cameras are basically allowed for private purposes. HOWEVER: all cameras with interchangeable lenses are considered professional cameras and are strictly forbideen. Video cameras and tape recording devices, MD recording devices and all other audiovisual recording devices are forbidden, as well! If we detect photographers without official accreditation (with professional equipment or for commercial purposes), we are going to delete recorded material, no matter if this material is only fotos. Filming (including digital cameras or mobile phones) is strictly forbidden as well. We reserve the right to delete or confiscate the storage medium. Additionally, one has to be prepared for a compensation claim on behalf of the artists. Offenses can be prosecuted in retrospect. Do not upload any recorded material of any band online. PLEASE pay attention to this. We know that it is very compelling to keep memories of your time at a festival, yet we are not that much into having to face any visitor with any consequences of that kind. There will be enough free space for everyone to find his/her own little campsite. Cars can be parked next to your tents. Camping without attendance to the festival is not allowed. Camping is free for all ticket owners. Owners of a ticket for just one day are not allowed to camp. If you feel massively disturbed or threatened by other visitors, turn to the campsite security! Some possibilities for buying food or breakfast can be found on the campsite, too. Drinking horns are allowed, of course! Camping and driving on the campsite is at your own risk. Children up to the age of 12 (don’t forget the passport) get free access to the festival with a legal guardian. Please equip your children with ear protection. We reserve the right to ban children and their legal guardian from the festival if the children aren’t protected well enough. A rock formation, next to our area, is part of the legendary Devil’s Wall. You can take a walk up there to enjoy the nice view, but please do not get rid of any rubbish up there. Respect the conservation area. Driving on the festival area or the campsite is only permitted for cars with a maximum permitted mass of 3.5 tons. Trailers (caravans) are allowed, provided that the tractor also has not more than a maximum mass of 3.5t vehicle weight. ONLY WAKING PACE FOR ALL VEHICLES! Please leave trucks over 3.5t, Unimogs and similar vehicles at home! Caravans (no self-built stuff!) that have more than 3.5t can be allowed, but are placed separately and may not be moved during the festival. Generally, we ask you to move vehicles only for arrival and departure; please discuss exceptions in individual or emergency cases with the law enforcement service. Dry ice is classified as a dangerous object and is strictly forbidden on the campsite as well as on the festival area. Access to the festival area is only possible with a valid ticket or intact festival wristband. The festival wristband will be exchanged separately upon presentation of the valid ticket. After leaving the festival ground, visitors are only allowed to re-enter if they wear an intact and closed festival wristband around their wrists. Unlocked festival wristbands lose their validity. When entering the festival ground, security checks can be carried out by our security staff. They are instructed to conduct a body and pocket scan on every visitor, especially when entering the festival area. We reserve the right to refuse the entry for a visitor for important cause. Such a reason exists in particular if forbidden objects are carried along, the visitor is obviously heavily intoxicated, the visitor is obviously under the influence of drugs or the visitor has an obviously discriminatory attitude. In the case of a violation of the protection of minors, we can refuse admission as well. …for caravans and trailers are only available at the declared spots (if they aren’t available at the shop, they are sold out already). Private aggregates are allowed only when they got a whisper-quiet operation of maximum 60 db. Please do not disturb your neighbors with annoying aggregate noises. We reserve the right to ban individual aggregates if they are disturbing other visitors. must not be taken of during the festival. Open fires are forbidden on the entire site! Allowed are commercial gas cookers with gas cartridges (please also note the pont „gas bottles“), solid fuel camping stoves (so-called ESBIT stoves) as well as charcoal grills, if they are used exclusively for food preparation. Due to some serious accidents, some with critically injured victims, we explicitly ask you to be careful, reasonable and proper when handling fuel and when lighting charcoal grills! Alcohol is NOT a barbecue aid! We recommend the use of non-liquid firelighters. Paraffin lamps, fire bowls, firewood and torches are prohibited! Our rescue team is operating again. Please contact the meeting- and info-tents if you are hurt or have some sickness. At a well-accessible place, there will be a sanitary and security station that you can contact at any given problems and at any time. Of course, all other members of our team are about to take care of your issues as well. We take care of your comforts. Food and drinks can be found all over the area. Brought along drinks (only for private consumption and without any kind of glass) are allowed on the campsite but not on the infield. Attention: Glass is NOT allowed anywhere! You can bring an originally sealed tetra pack with a soft drink to the infield. Apart from that, there are free drinking water points on the festival ground and on the campsite. as well as other dangerous objects of any kind. If unauthorized objects are found during checks, they may have to be stored by the visitors outside of the whole festival area or moved to another area. If the visitor disclams his ownership of the forbidden objects, they will be disposed directly at the entrance to the ares. In case of detected illegal objects, the security will immediately secure it and can hold the visitor temporarily while informing the police acc. § 127 StPO. We urgently ask you to keep your camping space clean and tidy as well as leaving it that way when you depart. Garbage bags can be acquired for a small deposit, everybody who brings back the full garbage bags will receive not only their deposit but also a very special present. On returning a filled garbage bag and departing from a tidied camping site, you will receive an A1 poster of the festival site shot on the festival Thursday. Our camping grounds crew will see to it that these rules are obeyed and in extreme cases will make photographs of offending areas. So if any of you intend to bring furniture and leave it, you will have to expect us pressing charges and fining you. We sincerely ask you to use the provided rubbish bins and not just throw your trash anywhere; with this you are actively helping us prevent any kind of trouble. Thank you for this! Compressed gas or LPG cylinders, which are used with an additional pressure reducer, are not permitted on our camping site, unless they are installed in a caravan / motorhome with appropriate protection, valid gas test certificate and TÜV. This is valid for any gas, so also for carbon dioxide, oxygen, helium, etc., and also for the operation of beverage dispensers! We will not only check thoroughly during entrances but also send our employees to check the grounds. Please accept this and help us by not bringing anything that could break and produce dangerous shards. We would like to point out that the ROCKHARZ OPEN AIR, especially the area in front of our stages, has a special volume and there is a risk of possible damage to health, especially hearing damage. We ensure that the visitors will not be harmed by sound levels of the individual concerts due to suitable technical equipment. We shall only be liable for hearing and health damage if we or our vicarious agents are guilty of intent or negligence, or if a duty of care is culpably not fulfilled. Barriers in the area of ​​the stages and the loudspeaker boxes must be observed. We recommend, besides of the mentioned points, to have a suitable ear protection like earplugs while you are close to the speakers and in front of the stages. Furthermore, we recommend to choose a place which is respective for your own listening habits. Staying close to the speakers and in front of the stages is at your own risk. As an alternative to our campsite, there are hotels and bed and breakfasts located next to the airfield. For visitors who had a long journey or those who want to stay some time after the festival, those hotels are an attractive possibility. The house right is exercised by us as an organizer as well as our security staff. The instructions must be followed. It is for visitors forbidden to carry prohibited items, to exercise physical force against other visitors, the organizer’s staff or other third parties, to throw objects on stage or other visitors, to urinate outside the toilets, to damage, paint or spray building structures, walls, objects, etc., to trade commercially without the explicit permission from the organizers. You can find all kinds of merchandise at the infield. You can find many dealers on our festival area offering a wide range of CDs, clothes, jewelry, accessoires etc. Owners of a festival ticket are allowed to park next to their tents and campsites. Parking is included in the ticket price. Visitors for just one day can use special parking lots outside of the area. Camping on those parking lots is not allowed. Of course, nobody’s going to get angry if you decide to sleep in your car after a hard night. Don’t drink & drive! Persons with disabilities (B and H) can get a free ticket for one companion at the ticket office. A separate campsite with toilet is located at the VIP Camping. We would like to point out that our festival area is nonetheless impassable. Taking pictures on the festival ground with a small picture camera and mobile phones for the private use is permitted (please have a look at the point „cameras“). Please be aware of the privacy rights of third parties. The production of sound and film recordings of any kind and their publication online or offline without permission of the organizers is strictly prohibited. Program changes can occur at the festival at any time. If this happens, we are going to find a appropriate replacement. Claims in case of the cancellation of an individual band or artist, even headliners, don’t exist. 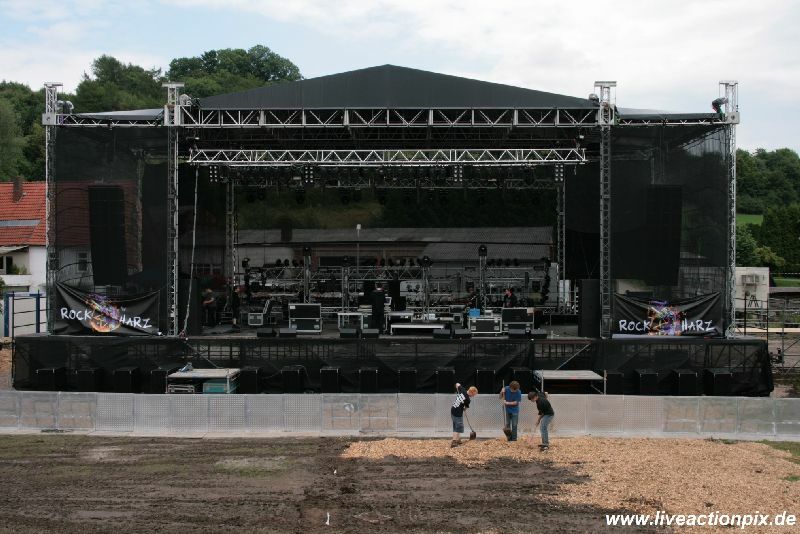 If any changes happen, we will inform you on our homepage: www.rockharz-festival.com immediately. The event takes place during all kinds of weather. However, we reserve the right to cancel or temporarily interrupt the event in case of a weather-related risk for visitors. In the case of cancellation of the event due to force majeure or due to official order or court decision, there is no claim for reimbursement of the entrance fee or for compensation, unless we can be proven intent or gross negligence. Who doesn’t own a tent or isn’t in the mood to carry it along and build it up, is at the right place at mein-zelt-steht-schon. You can not only rent a tent and all the attachments, but also get it built up. Thus you can arrive at ROCKHARZ, move in and start the party! You are able to rent a toilet. Just visit our shop. If you can’t find them in our shop, they are sold out. The running order will be published about 4-6 weeks prior to the festival on our homepage. Rockharz is a very peaceful festival and we do hope that the ladies and gentlemen of our security team won’t be overworked. Each member of our security is carrying an identification number (2-3 digits) on their work clothes. Should you be dissatisfied with any information, the way of working, the courtesy or the friendliness of individual security members, you can contact the security management via the information desk with this number to solve any difficulties in the world. 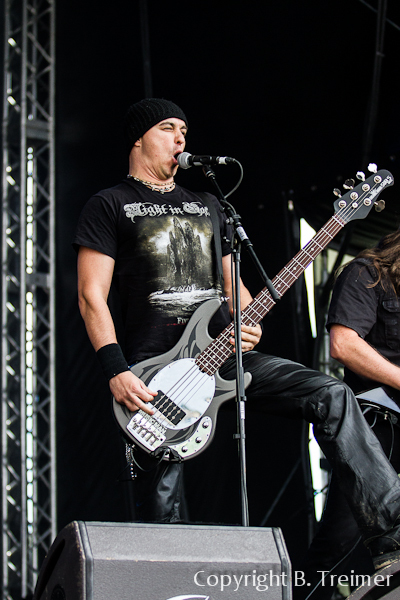 Signing Sessions will take place at the metal.de booth. We will publish the „running order“ for the signing times in the festival program. Please check the times at the metal.de booth as well. A showercamp is located next to the campsite. Showering will be possible for a tiny value. Is not possible because of the short ways. Busses for our visitors are going to drive to Ballenstedt and further to special conditions. A shower camp is located next to the campsite. Showering will be possible for a tiny value. Beer, soft drinks, barbecue stuff, snacks, sweets, hygiene articles and much more are available in the supermarket. There will be no time overlaps at any time. You are able to see any band you like. We got a huge amount of toulets and pissoirs all over the area. Those toilets are going to be cleaned every day and the use is of course for free. Flush-toilets can be used for a small value. You’ll find them next to the shower-area. We also have toilets for wheelchairusers. Flush-toilets on the concert area are for free. It is forbidden, to trade with articles of all kinds. The closest train station is located in Quedlinburg. Busses are driving directly between the train station and Assmusstedt at day time. For more exact connections, please check www.die-bahn.de. The visitor consents irrevocably to the gratuitous use of his portraits and / or his voice in photographs, live broadcasts, broadcasts and / or recordings of image and / or sound recordings made by the organizer or its agents or other third parties in connection with the event and their subsequent use in all current or future media. Weapons are completely prohibited on all of the grounds! We never had to deal with violence at the ROCKHARZ before and we don’t intend to change this now, so we will not be letting visitors enter if they are ready to use violence as well as remove any visitors who show aggressive behavior without offering any kind of refund. We will, of course, provide you with woven wristbands, you will be allowed onto the camping grounds with your unvoidedticket. You will receive your wristband when you first reach the festival ground at the wristband booth, please do not throw away your ticket after receiving your festival wristband. Of course we respect the youth protection! Above all, that means: no alcohol for children and teenagers younger than 18. Please do not try to cheat any members of our team with fake-IDs. Doing so means losing your bracelet and thus leaving the festival immediately. Police as well as child protection services will be there to check the adherence of youth protection. Children and adolescents up to the age of 12 may only enter the infield (the actual festival area) and the camping area with a parent or legal guardian. Educational orders are not accepted. An educational person within the meaning of § 1 Abs. 1 Nr. 4 Jugendschutzgesetz is any person who is over 18 years old, as far as he or she permanently or temporarily performs educational tasks due to an agreement with the actual guardians or as far as a child or a young person as part of their education or youth welfare. Children and adolescents from the age of 13 to 15 years are allowed to enter the infield and the campsite with the personal guardian or the educational officer. Children and adolescents under the age of 16 must leave the venue at 22:00. Young people between the ages of 16 and 17 are only allowed to enter the infield from 24:00 onwards without the persons entitled to custody or the education officer. Without any accountable person, they have to leave the event area (infield and camping site) until midnight. If this person is under 30, only the custody of ONE person should be transferred to them. If the person is over 30, this rule is dropped. This is to avoid that an 18-year-old takes over the responsibility for his 25 minor friends. Persons entitled to custody should be aware that only THEY are responsible for the behavior of their charges. You can find a template for the transfer of child custody here. All faked documents will be reported to the police.